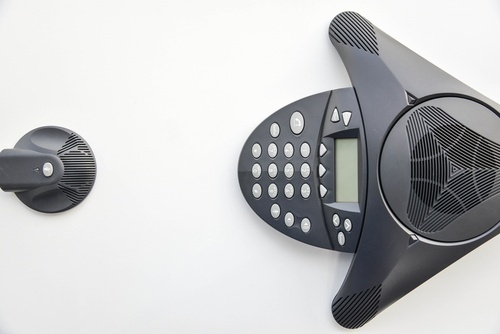 If you’re in the market for a new business phone system, you may find yourself trying to decide between digital and Voice over Internet Protocol (VoIP) IP solutions. Instead of trying to decide on the system by “what is best,” you should be asking “what is best for me?” The choice will all come down to your budget, ease of use, integration with other technologies/devices, and your current network environment. “Both are current technologies; it just depends on what your needs are, and your expert solution provider will help you determine this best solution,” says Troy McIsaac, sales manager at Total Communications. In general, digital phones tend to be more accessible at a lower upfront cost. They can also offer more features beyond the telephone set itself. If you’re a company that already has a phone system in place, a new digital system can easily be set up, whereas for VoIP, network considerations have to be factored in before deployment. Digital systems offer less points of failure compared to VoIP, making it a more stable option. With less “moving parts,” the integrity of the system is usually greater. In terms of requirements, digital telephones require a dedicated voice cable between the telephone location directly to the phone system location and connects directly to the system. A potential downside to digital systems is that over time, there may be more hardware required as your phone needs grow to support the isolated system. VoIP solutions, on the other hand, allow you to use apps to access voicemail messages, chat apps and take calls without being tethered to the office. For sales personnel on the road or remote teleworkers, VoIP offers a great deal of mobility and ease of access from anywhere. Consider this: you are working abroad and making client calls — with an IP phone, your calls still show a local number regardless of where you are, lending continuity to your customer interactions. Companies such as engineering and software firms who have employees who move frequently on a project basis benefit from this plug-and-go aspect of VoIP. With a multiple location environment, if one system fails at one location, IP phones can still remain operational. And because IP telephones tend to be used on the same infrastructure as your data network, you require less hardware and space and management of the system can be handled in-house. IP telephones require a ‘working’ and certified data cable which can be shared or dedicated, that goes back to a patch panel, connects to the switch via a patch cable, then routes to the system accordingly. The switch either needs to be Power over Ethernet (POE) to provide power or the telephone needs a dedicated Alternating Current (AC) Power plug to provide power. For either digital or IP, the telephone system will require backup power for standby power, but the IP solution will also require either a local Uninterruptible Power Supply (UPS) if using AC power, or for the switch to be protected by a UPS using a POE switch. “Static businesses such as long-term care, medical offices, or any business that is not ‘sales’ driven usually are better off using digital telephones as there are less points of failure and they provide a lower cost of ownership/support to the solution,” says McIsaac. But if your business is multi-location or has sales force applications, VoIP may be the answer. Oftentimes, a hybrid solution blends the best of both worlds where you can have IP phones for some remote users in your organization and digital phones for others. So while IP solutions may be cutting edge and more attractive because it’s the latest and greatest, it’s not the end-all-be-all solution. Digital still has a place in many organizations and overall, there are many choices for a phone system in today’s market.